Korayem, M., Hefzabad, R., Taheri, M., Mahmoodi, Z. (2014). Finite Element Simulation of Contact Mechanics of Cancer Cells in Manipulation Based on Atomic Force Microscopy. International Journal of Nanoscience and Nanotechnology, 10(1), 1-12. M. H. Korayem; R. N. Hefzabad Hefzabad; M. Taheri; Z. Mahmoodi. "Finite Element Simulation of Contact Mechanics of Cancer Cells in Manipulation Based on Atomic Force Microscopy". International Journal of Nanoscience and Nanotechnology, 10, 1, 2014, 1-12. Korayem, M., Hefzabad, R., Taheri, M., Mahmoodi, Z. (2014). 'Finite Element Simulation of Contact Mechanics of Cancer Cells in Manipulation Based on Atomic Force Microscopy', International Journal of Nanoscience and Nanotechnology, 10(1), pp. 1-12. Korayem, M., Hefzabad, R., Taheri, M., Mahmoodi, Z. Finite Element Simulation of Contact Mechanics of Cancer Cells in Manipulation Based on Atomic Force Microscopy. 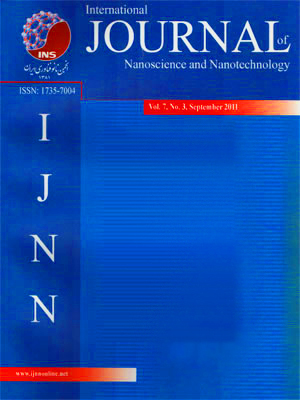 International Journal of Nanoscience and Nanotechnology, 2014; 10(1): 1-12. The theory of contact mechanics deals with stresses and deformations which arise when the surfaces of two solid bodies are brought into contact. In elastic deformation contact occurs over a finite area. A regular method for determining the dimensions of this area is Hertz Contact Model. Appearance of atomic force microscope results in introduction of Contact Mechanics into biology. Low elasticity modulus of biologic particles, causes large deformation against foreign forces, therefore to understand them, studying their behavior is essential. Here, in studying these particles we have used finite element which is a new tool in biology. In this paper indentation of three prostate cancer cells CL-1, CL-2 and LNCaP which have low elasticity modulus and are considered ductile materials was conducted using Hertz contact mechanics model. For modeling, in this section the contact equations of two spheres were used and simulated by using finite element method (FEM). The results of these two steps were compared with available experimental data on these cells to verify simulations and results. These results include force-displacement diagram which shows particles behavior against foreign load. In this presentation we tried to study the behavior of these cells through different methods and make a comparison. Using finite element approach in studying characteristics of these particles was new.